Drowning incidents can occur anywhere there is at least two inches of water, though most drownings occur in swimming pools. Sadly, drowning happens too often to children, with victims only out of sight for five minutes or less. In many cases, drowning occurs quickly and silently, in only seconds, and can happen, not only in swimming pools, lakes, and oceans, but also in wading pools, coolers, buckets, ponds, fountains, bathtubs, and even pets’ water bowls. Whenever children are playing around water or in water, a responsible adult should always be supervising the play. Keeping eyes on the kids means staying off your phone and limiting your conversations. You can also designate a “water watcher” to keep a close eye on swimmers in your group. Never assign young children to be responsible for younger siblings or playmates who are playing in or near the water. You and your children should know how to swim. If you don’t know learn. If your children don’t know how, teach them to swim or enroll them in swimming lessons at the local YMCA, swimming school, or city facilities. Learn CPR and First Aid. If a child in your care stops breathing, you have a small window of opportunity to resuscitate him or her, which you can only accomplish if you know what to do. You can learn CPR through the American Red Cross or the American Heart Association. It is equally important to have a phone nearby at all times to call 911 in an emergency. Pool areas should only allow a child entry with an accompanying adult. This means barriers like door and pool alarms, child-proof locks, self-latching and self-closing gates. In Florida, the law requires barriers for all home pools. Adults should never disable alarms or prop open gates around the pool. Pool covers should be used, but only if professional fitted and not creating a potential new hazard. Toys should be removed for in and around pools. so they don’t become safety hazards. And one final tip, many childhood drownings occur because the adult who is supervising becomes distracted. Swimming lessons and flotation toys and devices can’t take the place of adult supervision either. 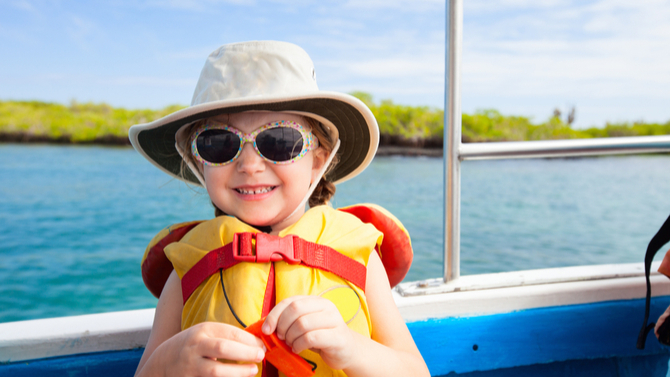 At Camp Live Oak, your children’s health and safety in the water and on land is always the first priority. Every staff member at Camp Live Oak is First Aid and CPR Certified, and many hold other certifications in a variety of fields to ensure your children’s safety. In addition, should a serious injury occur, local emergency management services (EMS) are minutes from each of our locations. As you make your summer plans, be sure to incorporate the water safety tips provided here to ensure a safe and happy summer! And if summer camp is a part of the plan, make the camp staff aware of any health and safety concerns regarding your children’s physical, mental, and emotional health, including medications, allergies, physical limitations, and dietary restrictions. Any and all information you provide is confidential and will help camp staff keep your child healthy, well, and having fun!